As one of the most anticipated world tournaments, the FIFA World Cup, kicked off in Sao Paulo yesterday, TheHardTackle takes a look at three important factors which might decide the Battle of Manaus, between 1966 winners England and four time World Chamions Italy in Group D on Saturday. When England manager Roy Hodgson was announcing his 23 man squad, the Three Lions were likened to their sponsors and automobile company Vauxhall by one of the journalists. England, just like Vauxhall, was described as ai?? ?Dependable, well-made, well-organized, full of energy, but ultimately a little bit ordinaryai?? ?, whereas the Italians and other flair teams like Brazil, Argentina and Spain were compared to the Lambhorginis and the Ferraris. It might be a tad harsh on England, given the flair players they themselves possess, but it also means that Roy Hodgson`s men can play with relatively less pressure on their shoulders despite the weight of expectation surrounding them in all world tournaments. The heartbreaking loss against Italy in Euro 2012 on penalties should provide England with the much needed motivation to do well against the Southern Europeans. Roy Hodgson will need to execute his plans to perfection if the Three Lions are to be victorious against Cesar Prandelli`s men. It might be stating the obvious, but the thought of man-marking Andrea Pirlo should have crossed Roy Hodgson’s mind many times in the past few days. The Juventus maestro has been the lynch pin of the Italian midfield for quite some time now and England will be able to stop the Italians if the influence of Pirlo is negated. Pirlo was not a happy man when he was man marked by Ji-Sung Park in the Champions League in 2010. The Italian could not influence the game as his former team Milan lost to Manchester United 7-2 on aggregate. Beautiful football or not, marking Pirlo must be considered as an option if England do not want to chase shadows in the trying conditions of Manaus. 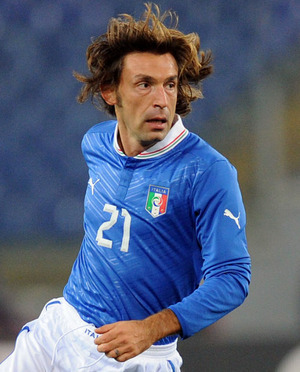 Pirlo will want to erase the memories of the 2010 WC with a strong showing this time around. playmaker. Ai? ?Pirlo will be aided in midfield by de Rossi, Veratti and Candreva. Hodgson will also have to contend with the talented Marco Veratti, who has the talent and vision to slip passes through the eye of the needle and cause problems to the England defence. The 4-2-3-1 formation should suit England with Liverpool duo of Gerrard and Henderson playing behind the triumvirate of Lallana, Rooney and Welbeck and Sturridge playing as the lone striker up front. 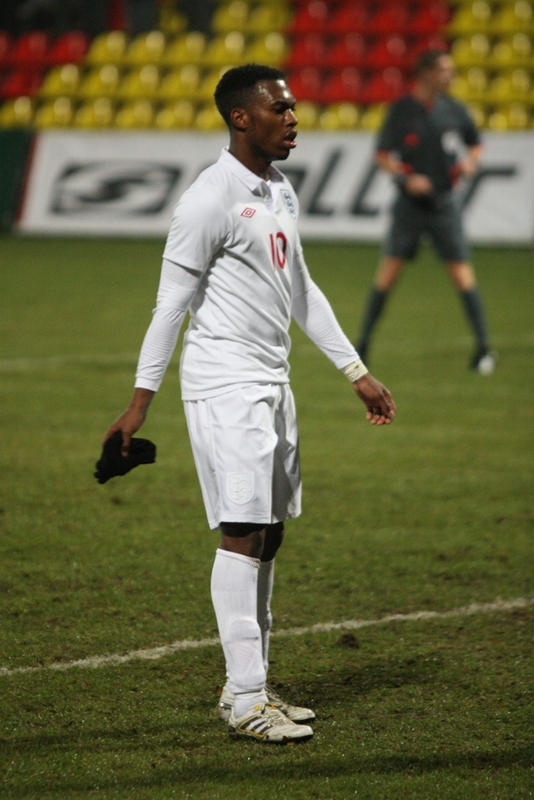 Welbeck is most likely to be patrolling Pirlo, should Hodgson opt to mark the Italian playmaker. If he decides against it, then Raheem Sterling should make the starting eleven. The Italians are expected to have the bulk of the possession and it wonai??i? ?t be a surprise if England choose to sit deep and play on the counter attack. They have the players to seamlessly switch from defence to attack in a matter of seconds and the likes of Sterling,Rooney, Sturridge and Henderson will not think twice if they have the opportunity to break. From what was seen in the friendlies against the Republic of Ireland and Luxembourg, the Italians tend to play a bit narrow, and England can find a bit of joy if they can get at Prandelli`s men in the flanks. The likes of Sterling, Welbeck or Lallana will put pressure on the Italian full backs and try to support Rooney and Sturridge in the central positions. It is going to be a classic with the English wingers trying to isolate the Italian full backs in Abate and De Sciglio, and attacking them with glee, if they have their way. club and country. He has notched up 39 goals in 56 games after making the move to Liverpool from Chelsea. Sturridge has had a remarkable change in fortunes from a stagnating career at Chelsea to a burgeoning one at Liverpool. He is constantly improving by the day and looks the ultimate package with searing pace, predatory instincts and a super technique. 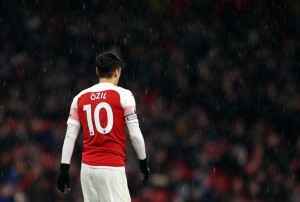 He is one of the favorites for winning the golden boot and should he continue with his rampant goal scoring touch in the group phases, then the other teamai??i? ?s better watch out. The only cause for concern at the moment is his partnership and understanding with Rooney, but both the strikers have enough quality to synchronize their movement and understanding in time for the first encounter against the Azzuri. The Azzuri, on the other hand have been goal shy, scoring just 4 goals in their last four internationals. The friendly against Fluminense must have come at the right time for Italy with striker Ciro Immobile scoring a fine hat trick. But, the indifferent form of main centre forward Mario Balotelli will be a worrying factor. The mercurial Italian is going through a rough patch at the moment scoring just 1 goal in his last 10 appearances, for both club and country. Ai? ?But it would be foolish to under estimate the former Manchester City man, who can turn a game on its head when he gets the chance. Balotelli just needs some encouragement or some criticism from his coach to get him fired up and ready. However, it remains to be seen if Balotelli gets the nod or if Prandelli would like to go with the Immobile-Insigne partnership that did so well in the friendly against Fluminense.